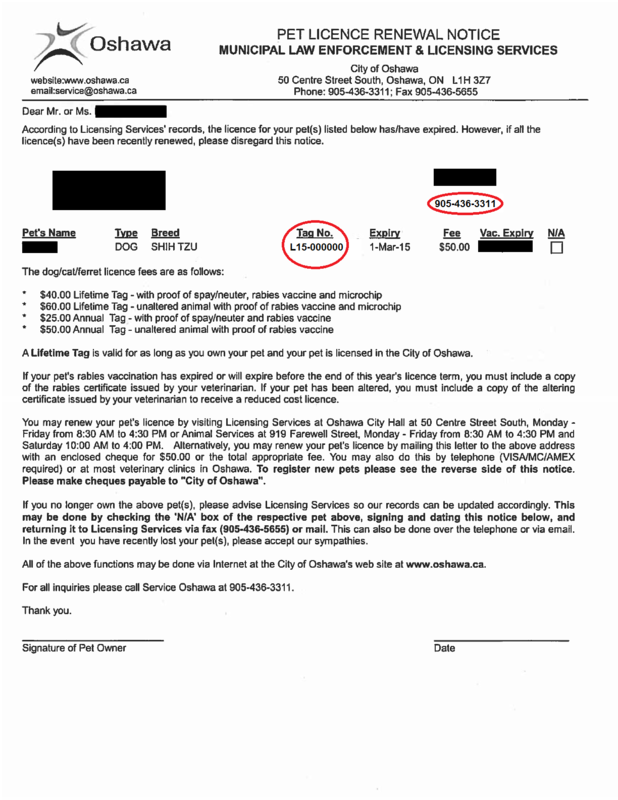 Welcome to the City of Oshawa's Animal Licence Online Payment System. We currently accept VISA, MasterCard and AMEX online. View the Current Licence Fee Schedule. Enter your phone number and animal licence tag number into the boxes below or create a new owner. For help locating the animal licence number and our phone number, view a sample letter.